June K. Stegman passed away peacefully, on November 29, 2018. June was born in Buffalo on January 22, 1921 to the late Edward and Ruth Groh. 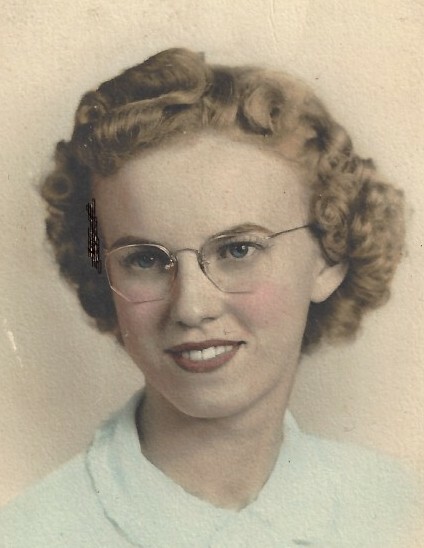 June is a 1939 graduate of Akron High School where she was a member of the National Honor Society. She married the late Don L. Stegman, and together they had three children. June enjoyed crafting when she was able and had a great passion for reading. June was a loyal supporter of local organizations such as the Akron Fire Company, the Newstead Fire Company, and the SPCA. Beloved mother of Dane L Stegman; loving grandmother of Amber Puckett and great grandmother of Jordin Roy. Several nieces and nephews also survive June. A husband, Donald L. Stegman, a son Donn L. Stegman, and a daughter, Darcy L. Puckett predeceased June. Friends and relatives may call from 2 to 4 p.m. and 7 to 9 p.m. on Monday, December 3, 2018 at Ross Funeral Home of Akron, LLC, 10 Eckerson Avenue where a funeral service will take place on Tuesday at 1 p.m. The family would appreciate memorials made in June’s name to: The Akron Fire Company, The Newstead Fire Company or The SPCA.